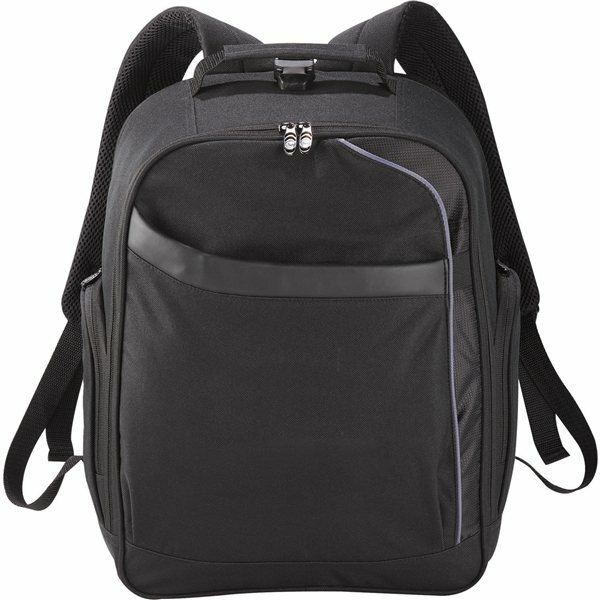 The Checkmate TSA 15" Computer Backpack features a laptop-only section that unfolds to lay flat on an X-ray belt to increase your speed and convenience through security. Holds most 15 inch laptops. A front zippered compartment contains an organization and file divider. 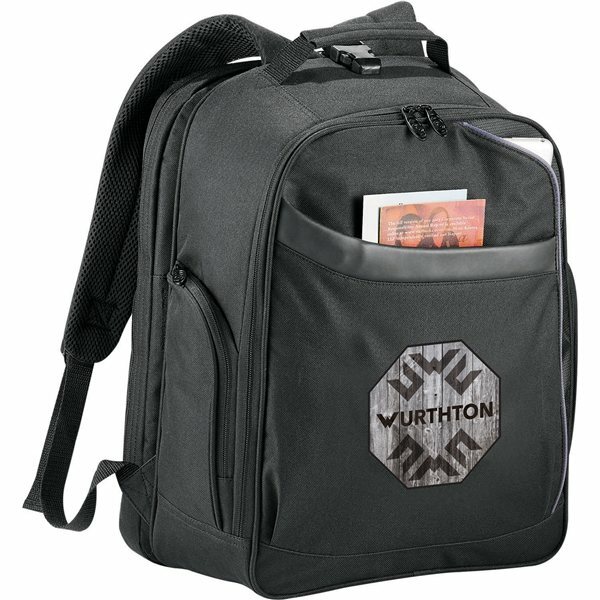 Comes with a front zippered pocket and a quick-access corner pocket, as well as side zippered pockets. A rear zippered laptop-only section attaches to the backpack with a hook and loop and quick-release buckle. Nice-looking product at a reasonable price, interesting design. Cheap, comfortable and practical! What more can u want! Excellent! work well, and looked great. Colors and printing were far from what I had ordered through them but with AnyPromo.com, the product were printed perfectly, We're above satisfied! The color is attractive.